Learn street fighting and self defense against any weapon or attacks. The style of Jujitsu that we teach at Millennium Martial Arts is stand up street fighting style. Jujitsu incorporates techniques from various arts such as:Judo, Savate, Karate and Weapons. 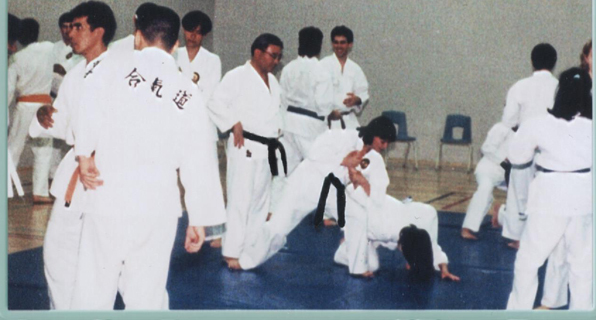 The student is taught basic kicks, punches, blocks, throws, pins, locks, break-falls, rolls, and the "lever technique"(the use of leverage rather than power or brute force). In our Jujitsu classes we teach adults and kids how to effectively disable a larger, stronger attacker with weapons or without. Used properly, Jujitsu or Jiu Jitsu is a form of fitness, coordination, discipline and self defense. Our classes are traditional meaning that when our students are ready, having acquired all the necessary knowledge for that belt they are required to grade. Weapons training such as 2ft., 3ft., 5ft. wooden staff, Bokken (wooden sword), Sai, Kama, Tonfa, Nunchaku and other traditional weapons are an integral part of our Jujitsu classes. Defending against a sharp object, or any other weapon and how not to end up in a ground fight is also being taught by our chief instructor in our Jujitsu lessons. Come and enroll in our Jujitsu program, you will learn how to defend yourself in no time.